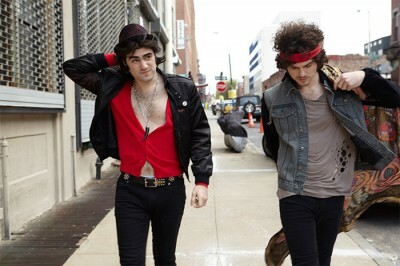 French Horn Rebellion are hitting the road next month for a fall tour. Bringing along Zak Waters, the duo’s latest road trek kicks off October 25 in Dallas, and will include stops in El Paso, Tuscon, San Diego, Seattle and Portland before wrapping up in Detroit on November 16. If you want to see French Horn Rebellion before then, you ‘ll have plenty of chances. The band will perform at the TBD festival this Saturday alongside a roster that includes Blondie and Moby, and will make appearances at Great Scott in Boston on October 15 and Mexicali Live in Teaneck, New Jersey on October 16. Performances at the Grasslands in Brooklyn and The Empire Control Room in Austin are also slated for October 17 and October 24. The group will also be playing a few dates in December. French Horn Rebellion have also released their Sailing Away: Summer 2014 Mixtape, featuring a mix (for lack of a better word) of covers, remixes and unreleased tracks. Listen to and download it HERE, and view the full list of the group’s live dates below.